What would you like to say to your bank balance? #DearMoney How do we start talking about all you can do for me? #DearMoney are you like the guys in my life, cuz you don't stay. 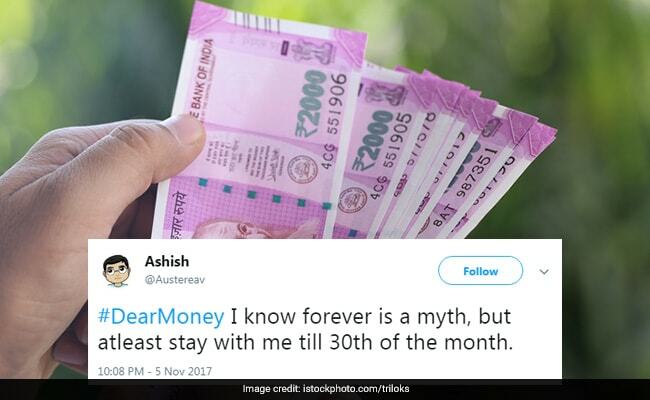 #DearMoney I know forever is a myth, but atleast stay with me till 30th of the month. #DearMoney can you please love me like the way I love you!? Can you please stay? #DearMoney, Please come back. My wallet misses you everyday. #DearMoney please check DM and respond ASAP. #DearMoney Is there anyone who can understand all my money needs and can give me all solutions at one place? What would you say to your money if it could understand you? Let us know using the comments section below.